Industry Heavyweight MOROSO Celebrates it's 50th Anniversary in the Performance Products business by partnering with the PDRA. (Jan. 16, 2018) - MOROSO will be the Class Naming Rights Sponsor for the break-out, crowd pleasing, Pro Boost category for the 2018 PDRA Championship season. Scott Hall, MOROSO Sales Engineer and PDRA Race Supplies Manager shared what brought MOROSO to partner with the PDRA and the Pro Boost class in 2018........"We see huge past, present and future business within the PDRA, based on the high percentage of teams utilizing our top end performance products." MOROSO won't just be a passive Sponsor of one of the Pro categories at all of our events this year, but rather will be, as Scott states "At the track supporting racers and customers with a Raceside Race Support Trailer thanks to Tyler & Toby from Sweat Performance. It was important for us to partner with racers who know what it takes and means to get to the next round of competition". The Support Trailer will stock a range of products based on Scott's experience with racer support programs that MOROSO has been involved in at the track. "Quick Pins, dzus fasteners, coil wires and gaskets are just some of the consumable style products we'll have available at the Race Support trailer at the track." Also available, thanks to this partnership, will be race day services like Tire Pressure Gauge Calibration checks at no cost to the racer. As a second generation racer himself, Scott understands the importance of this support and service-based approach to MOROSO's partnership with the PDRA, alongside the financial support they are supplying to the Championship Series in 2018 and beyond. Will Smith, PDRA's Marketing Director, is excited by what this partnership brings to the 2018 Million Dollar Championship Season. "We are thrilled to have MOROSO on board with us this year. 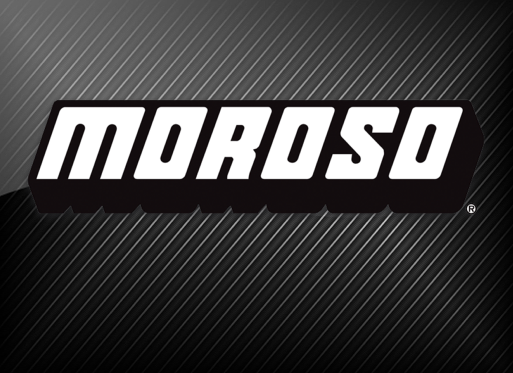 MOROSO is one of the most well known and respected suppliers of performance parts and equipment in drag racing. MOROSO products have been designed and built for racers, by racers, just as PDRA has been. Due to this, it's a very unique partnership." With Pro Boost being one of the three Professional Classes to have a $10,000 prize purse at each event in the 2018 Championship, and an Industry Giant in MOROSO on board, things are sure looking over-the-top-hot for the coming Season. To checkout all of MOROSO's awesome products please head to www.moroso.com and also give their Facebook page a like. The Professional Drag Racers Association (PDRA) was formed by racers for racers in Jan 2014 with the express purpose of giving racers of the most powerful and fastest doored cars on the planet the very best series in which to race and showcase their performances.